See if this sounds familiar: irrationality of the mob and miscarriages of justice. Eleventh hour perspective shifts. Betrayal and denial. Is this the average 24-hour hour news ticker or was it Holy Week? As we passed through the Triduum, we saw the great diversity of human failures at play. We also saw our strengths: faithful women and John the Apostle standing steadfast at the foot of the cross. A condemned criminal’s repentance and faith. We rightly celebrate these stories! The news ticker isn’t so forgiving. Candidates for president are stacking up. We again see the human experience on display. We’ll laud their strengths, but then we’ll dig up their failures and tear apart their mistakes at an arm’s length from our own. Fortunately for us, this isn’t God’s perspective. It shouldn’t be our perspective either, but it’s so easy to forget. It’s easier to hide and blame, to strive and earn, to one-up and win, rather than to admit our own need and find God waiting with His mercy on the other side. The Second Sunday of Easter is Divine Mercy Sunday. We begin to see the power of the Resurrection — that radical act of the mercy of God — at work in the lives of the disciples, and our lives as well. Today’s Gospel illustrates the first step: receiving God’s mercy upon mercy, no matter our imperfections. The Apostles know Jesus has risen from the dead, but they still lock the door in fear of forces beyond their control. Neither timid hearts nor solid stone walls can keep back the love of our God. Jesus moves into their midst, proclaiming peace and mission over his friends. Absent Thomas doubts the validity of the episode, and perhaps even Jesus’ Resurrection entirely. “Unless I see the mark of the nails in his hands and put my finger into the nail marks and put my hand into his side, I will not believe.” After all that Jesus has done, he does still more. On his perfected and risen body, Jesus still bears his wounds. He bears the marks of what he endured to save humanity, to save Thomas, unique and individual. How well do we accept the Resurrection reality in our own lives? Do we understand and embrace the mercy of God? Here’s the good news of Divine Mercy Sunday: we don’t need to be all that good at it! We can be afraid. We can be closed off to love, to life, to new opportunities. We can be unsure of God’s presence and demand assurances. The disciples did all of this and more. God’s mercy showed up anyway. When that mercy is received with open hearts, it changes us. This third step is illustrated in our first reading from Acts. After Pentecost, the Apostles have emerged from the upper room and in the public square. The miraculous deeds they perform — curing the sick, casting out demons — is a new manifestation of the healing power of Christ. The mercy of God is uniquely mediated through our human hands. When we receive the mercy of God, we become conduits for that same divine mercy in the lives of others. Integrating the Resurrection into our lives means accepting the mercy of God, embracing the unearned gift of it all, and sharing that mercy with others. 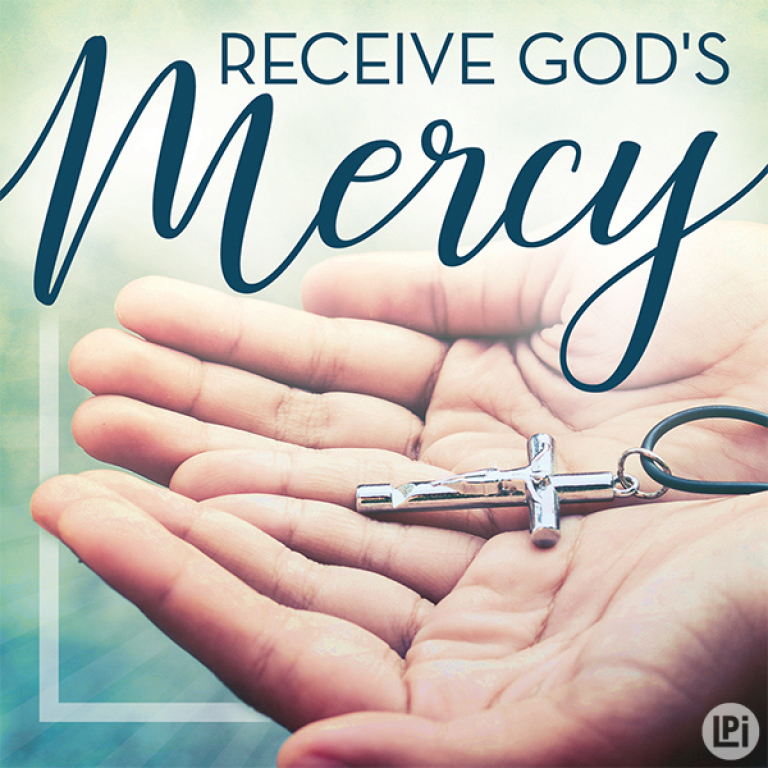 No matter who we are or what our current circumstances, we have the potential to be bringers of mercy in our daily lives. This may mean diffusing our impatience with an exhausted child’s disobedience. It could be the choice for respectful calm in a political conversation. It might be going out of our way to serve another or to sacrifice our time and energy for someone in greater need. The divine mercy of God is never-ending. The second reading from the book of Revelation reminds us of this important fact. “Do not be afraid. I am the first and the last, the one who lives. Once I was dead, but now I am alive forever and ever.” This assurance of divine mercy is both the fourth step and the foundation of the whole process beginning anew. When we receive God’s mercy, accept it, and let it transform our lives. We grow in hope that His mercy is always present to us. And we’re going to need that hope! Because someday, we’ll be back in the upper room again, cowering behind the door in some new doubt or fear. And God’s mercy will pass through the walls again. Are you ready to receive it? it is your nature to have mercy on us and forgive us. You do not refuse the light of your love to those who seek you. We place our trust in your infinite goodness. and to live in it through your Holy Spirit. Receive us into the home of your Most Merciful Heart!